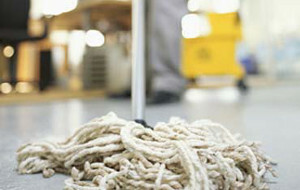 Why Choose Jill’s Commercial Cleaning Service? A woman-owned and locally operated business, Jill’s Commercial Cleaning Service has been trusted by businesses in the Central PA area for over 25 years. We have a fully licensed, insured, and bonded cleaning staff, each of whom is trained for 20+ hours prior to servicing clients. 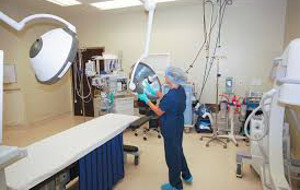 Same-week scheduling of service is available, and our staff is fully trained to handle the unique needs of healthcare facilities. With Jill’s there are no long-term contracts. We believe our work speaks for itself and are willing to work on a month-to-month basis. What are others saying about Jill’s Commercial Cleaning Service? Jill, thank you for the outstanding professional custodial service you have provided for our warehouse during the past two years. We look forward to using your services for many years to come. We have been very pleased with Jill’s Cleaning Service. We have been using her for well over a year and have had great service. Jill is always following up to be sure we are happy with everything. For the last three years, Jill’s Personal Touch Cleaning Service has provided our surgery center with janitorial and rug and floor services. Jill has always remained in contact with us to determine our needs and how best to accommodate them. We require specialized processes due to our business, and Jill has always been able to meet our needs in those areas. We have relied on Jill and her staff to prepare the facility for inspections and to make us aware when the carpets, upholstery and floors need additional care. I would recommend Jill’s company as a reputable and dependable service. We are pleased with the service we receive from Jill’s Personal Touch Cleaning Service, which we have used for several years. Jill and her team are thorough, neat, and do a fine job of keeping our offices, common areas, bookcases, and kitchens in top shape. We are happy to recommend them. has been trusted by so many for over 25 years.